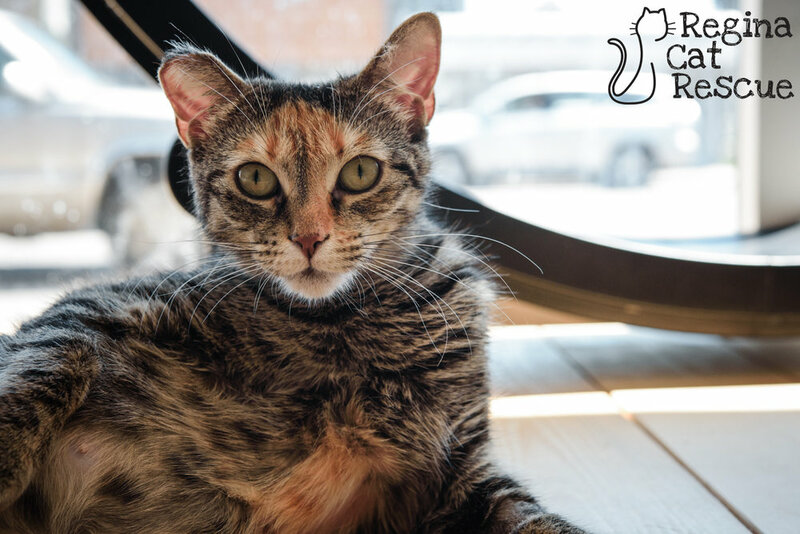 You can meet Val at the Excalipurr Cat Cafe at 2156 Albert St. I'm Val. I'm a tortie-tabby. Now that all my kittens have homes, I'm ready for my own forever home. I was rescued from the streets with my litter of kittens, still a kitten myself. But I took everything in stride. 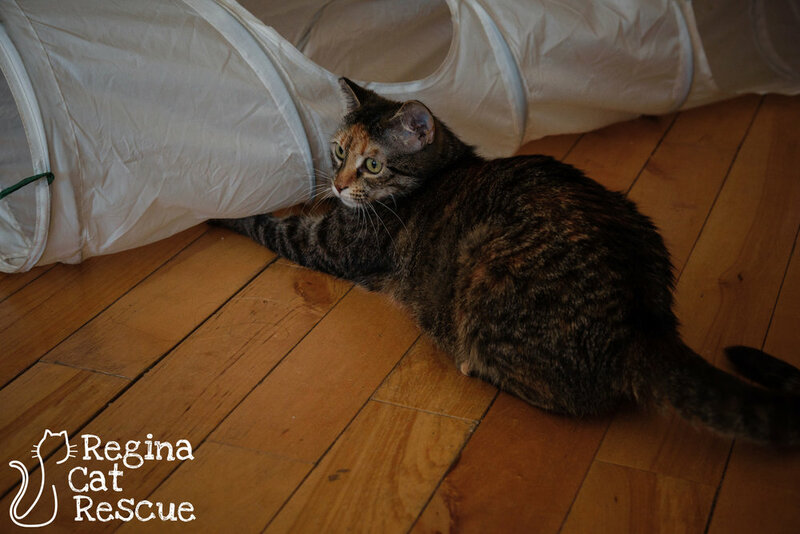 From street to foster to cat cafe, I faced it all and didn't let it change me. I'm an easy-going feline, laid back and adaptable. I get along well with other cats. I love attention and would fit in with almost any home: busy, first time owner, well seasoned cat dads and moms, with other cats, or as an only. I'm ready for the first day of the rest of our lives together, are you? If you are interested in Val, click here to view our adoption contract and click here to complete an adoption application or email the RCR Adoption Coordinator at rcradoptions@gmail.com for more info.